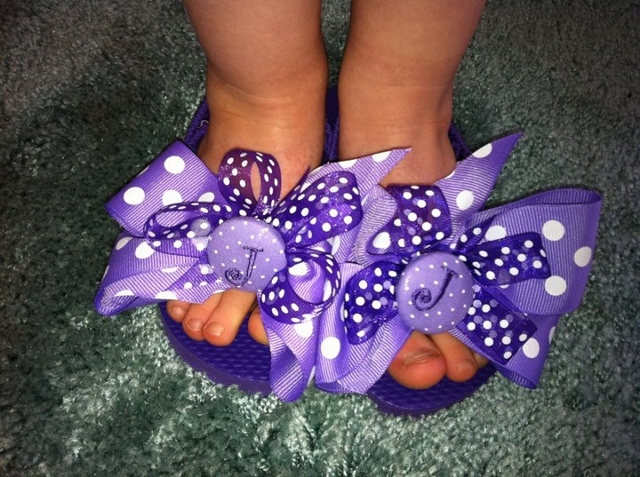 Personalized flip flops with adorable bows. 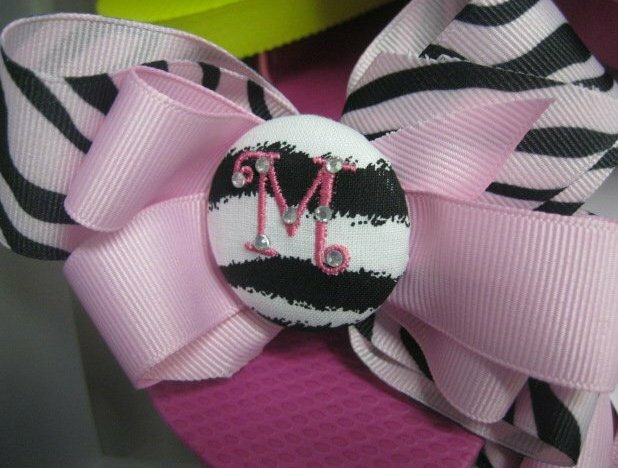 You custom design them!! if you want something differnt written on the button please email me. There is no additional cost and we can customize them for you. colors from sample chart may vary depending on supply.